ES Systems has developed a series of medium isolated pressure sensors suitable for applications with harsh environmental conditions where resistance to corrosive fluids or gases is required. Each sensor integrates a MEMS capacitive pressure sensor die, and a CMOS ASIC for the signal conditioning. The MEMS pressure sensor dies are underpinned by ES&apos;s innovative microfabrication process for silicon capacitive sensors. 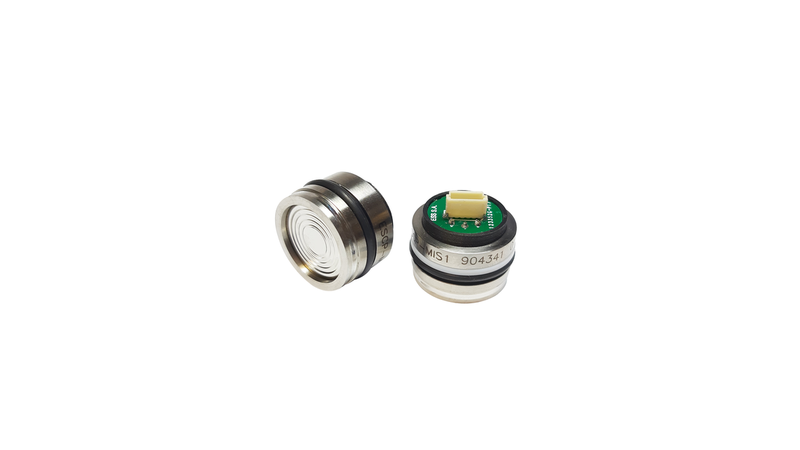 The ESCP-MIS1 Series is a family of pressure sensors in the standard Ø19 stainless steel 316L capsule. In this type of sensors, the pressure is hydraulicaly transferred to the hermetically sealed sensing element through the Silicon Oil used that fills the cavity between the sensing element and the stainless-steel diaphragm. The pressure capsule interface is either I2C or analog. The sensors are provided calibrated and compensated at various temperature and pressure ranges from 1 bara to 400 bara. Custom materials like Hastelloy or Titanium are available upon request.